“Respecting China’s sovereignty is the same to respecting Cambodia’s sovereignty. 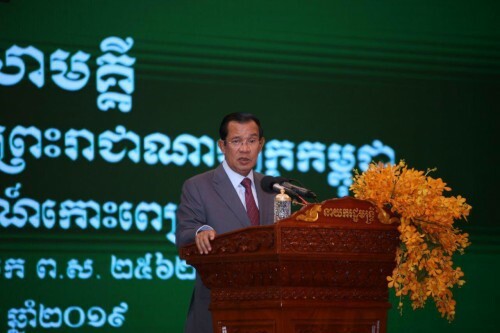 Consider if any country wants to separate Cambodia’s provinces,” he questioned. The Cambodian side reaffirmed its resolute adherence to the One-China policy, and recognized that the government of the People’s Republic of China is the sole legitimate government representing the whole of China, and that Taiwan is an integral part of China’s territory,” the Kingdom of Cambodia and the People’s Republic of China released a Joint Communique following Prime Minister Hun Sen’s three-day official visit to China in late January. The Strongman said the kingdom has adhered to “One-China Policy” since the leadership of the late King Norodom Sihanouk during the 1950s and 60s, and that the current government must continue to cherish it, in a better way.